Which specific Topeak Explorer do you have from that page? That is just the basic Explorer MTX rack (this one). Spring or no spring -- it's basically the same rack. The one with a spring has a large spring-loaded arm like a mouse trap that you can use to "trap" on a rolled up windbreaker or other type of soft cargo. I use mine with a trunk bag, so I didn't need the spring. 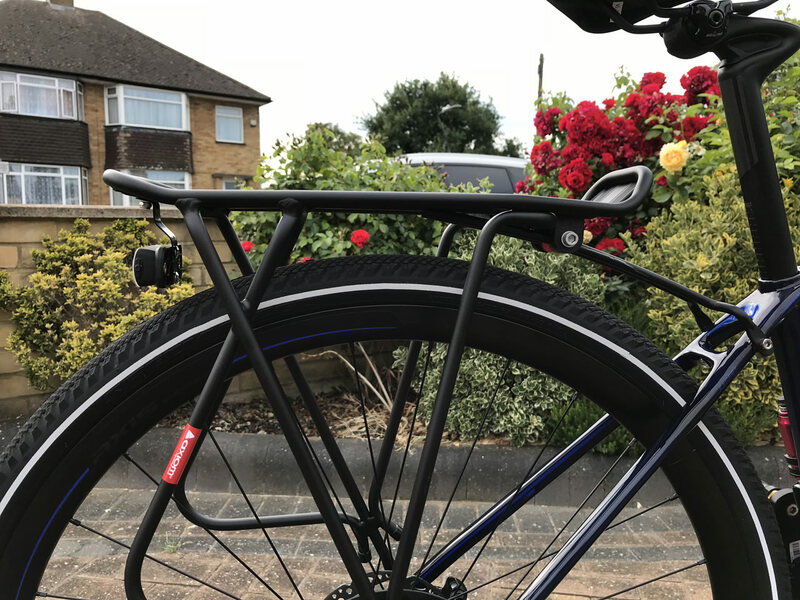 And, as with the current Crosstrail frames, the Giant Roam's rear brake calipers are inside the rear triangle, so I didn't need the extra width of the "disc" version of this rack. My picture above shows different rack stays than what come with it. Pretty much every rack today, Topeak included, has those chrome metal-band stays, and I don't like those. My local bike shop conjured up some miscellaneous rack mounting parts for me, and so I've got fixed rack stays that are black and match the rack. ^ Those stays look better than the stock bare metal silver ones. I also like the fact that the rack doubles as a mudguard (fender) of sorts. Many thanks! Thanks; I wish I could tell you more about them (make/model/etc), the stays, but they really are nice. Here's another picture. 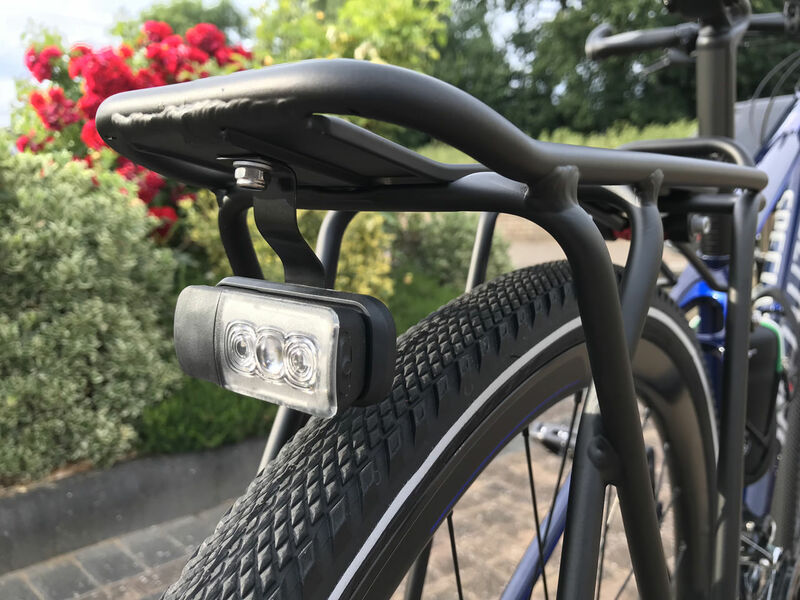 The Roam has fairly wide seat stays, and the Topeak rack's mounting holes in the front are somewhat narrow, so I found these that run straight ahead and then flare out. They absolutely fit perfect. I don't know if the Crosstrail's seat stays are far apart like the Roam's are. If so, then you may need to spread the sheetmetal stays apart some to make them fit (and that's one of the things I didn't like about mine -- they just didn't look right). These happen to fit perfect; I got lucky. I bet you can find similar ones online, though, if you didn't like the chrome stays that come with just about every commonly available rack sold today. Bikes: Giant FCR 3 with lots of mods, Brazilian made Caloi 100. These stays look a lot like the ones one that come with Axiom Journey racks. 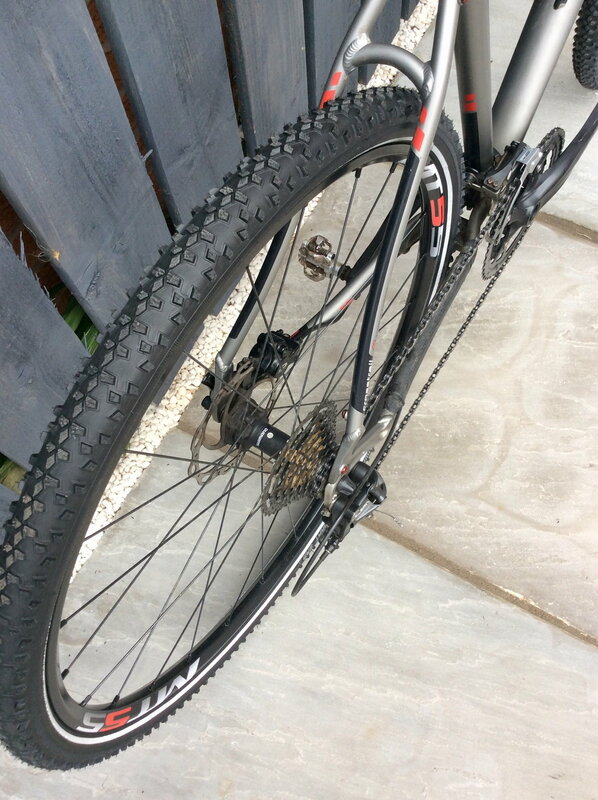 However, I don't know whether that particular one would fit on a CrossTrail with disc brakes. I will do some research. 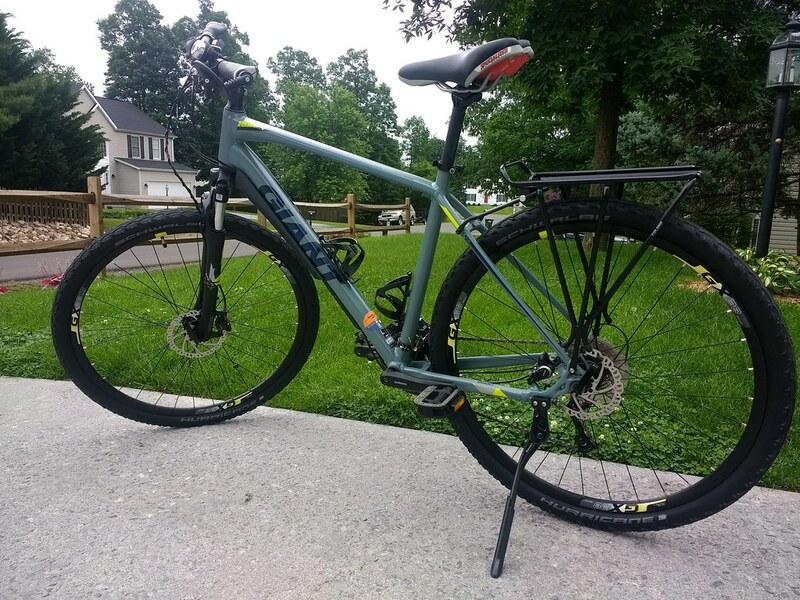 The price is very good, although it does weight quite a bit more than similar Topeak ones. A quick update on my brake issues which I mentioned earlier in this thread. The shop wanted to look at the bike and keep it until they could figure out the problem. And that could have taken up to two weeks! Instead, I used uberbikecomponents.com who I have used for brake pads for my other bikes over the years and purchased a pair of their Race Matrix pads. I re-torqued the disc rotor, cleaned the rotor, reset the pistons and then fitted the new pads and centred the pads. Wow! What a difference. Instant grip, even before they've been conditioned. I inspected the pads that I'd taken off and the surfaces were like glass - very, very smooth. Obviously glazed. So I'll be ordering a second pair for the rear caliper as I forgot to do so, not thinking that I'd need two pairs of brake pads. I don't know whether that particular one would fit on a CrossTrail with disc brakes. It should fit. 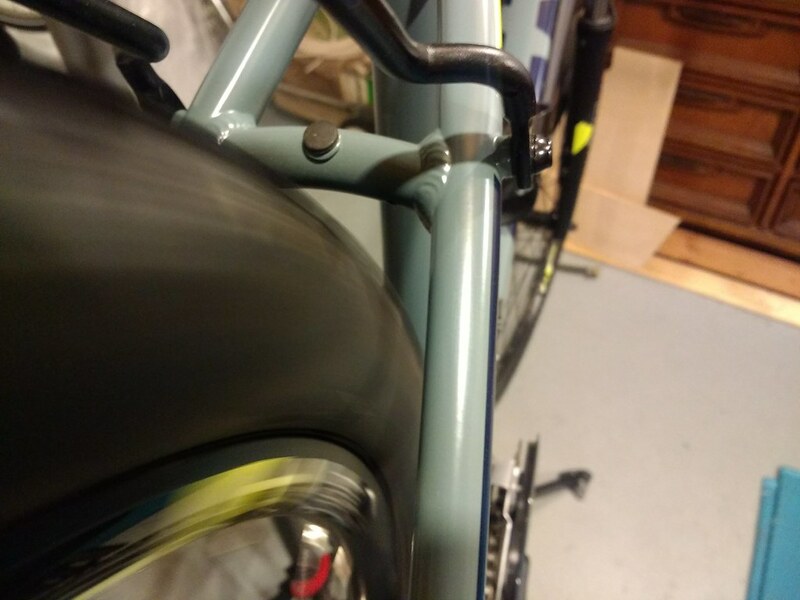 Bike frames that need special rack adapters for disc brakes or special spacing on racks are frames with the brake caliper up on the seat stay. Like this one. The brake caliper can obscure the rack mounting holes and the rack needs to have an adapter or other work-around to work. But the Crosstrail's calipers are down inside the rear triangle, on the seat stay. Like my Roam pictured above. There's no interference with the rack mounting holes on the frame, and a conventional rack can be used. I prefer them, as the mounting area isn't as wide as it is on a "disc version". Sounds good. I ordered the Axiom Journey rack. It should arrive in a few days. 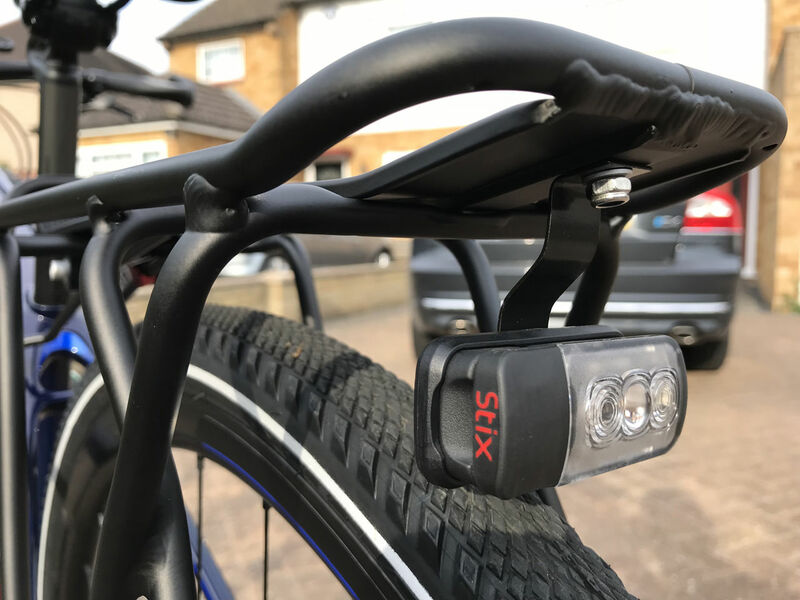 I held off on ordering a rack for my CrossTrail for a long time due to a perceived issue with it clearing the disc brakes and not looking good with alternative mounting points and lots of bending of the rack involved! I've had that rack on my ride for a year now and I haven't been disappointed with it 1 single time. Even stopped at HomeDepot on the way home one day to get a garbage disposal. Bungie corded it on the Axiom Journey and the big heavy box bouncing around on bumpy roads didn't make the rack budge. 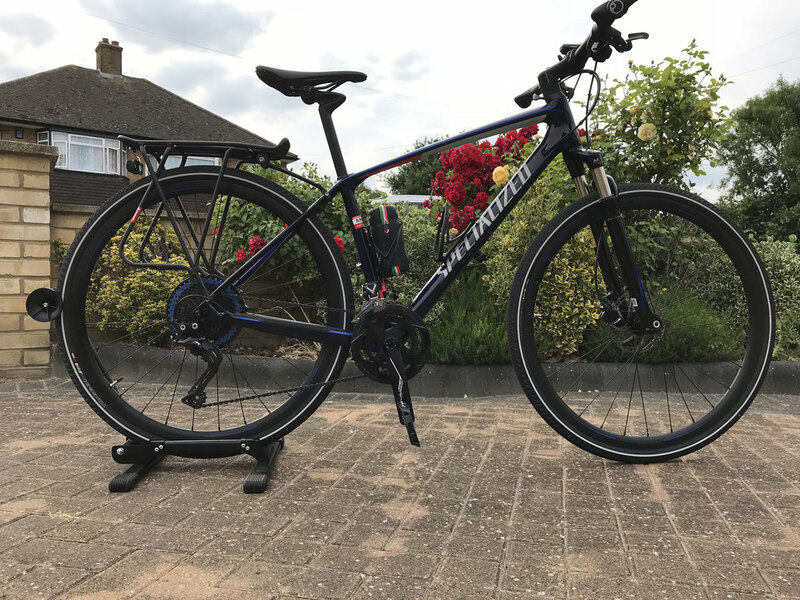 Did you get the normal Journey on the one specific fro Disc Brakes? The normal one fits just fine. You do NOT need the disc brake model. But the normal model does need to stretch a smidge to fit. And remember, 100% of the rack's load is sitting on the 2 mounting bolts. (The forward bolts that connection higher up at the top of the frame just keep it from swaying forward and backward. They aren't supporting the load.) The rack is only as strong as those 2 bolts. I can't remember what it comes with but I used stronger steel bolts to mount the rack. Bear in mind the steel bolts are harder than the aluminum frame. So if you cross thread it, you will screw up mounting hole quickly. Be careful. But it will make for a stronger rack. Thanks for the advice. Yes, I ordered the regular Axiom Journey (non-disc model). Out of all the racks I researched, it looks more like an OEM rack that was meant to be there. I'll keep an eye on the bolts. The weight it can carry is staggering! I like to use small nylon or fiber washers between the rack and the frame. The rack won't scratch the frame's paint this way, and it'll look super clean if you ever do remove the rack. I actually use those washers under everything I bolt to the bike (bottle cages, racks, etc). Home Depot has the fiber ones (get #10 size as I recall) and Lowe's has the nylon ones (I think they come in metric size (M5). They're pretty cheap (less than a dollar for a bag of 3 or 4). ^ That sounds like an excellent idea! 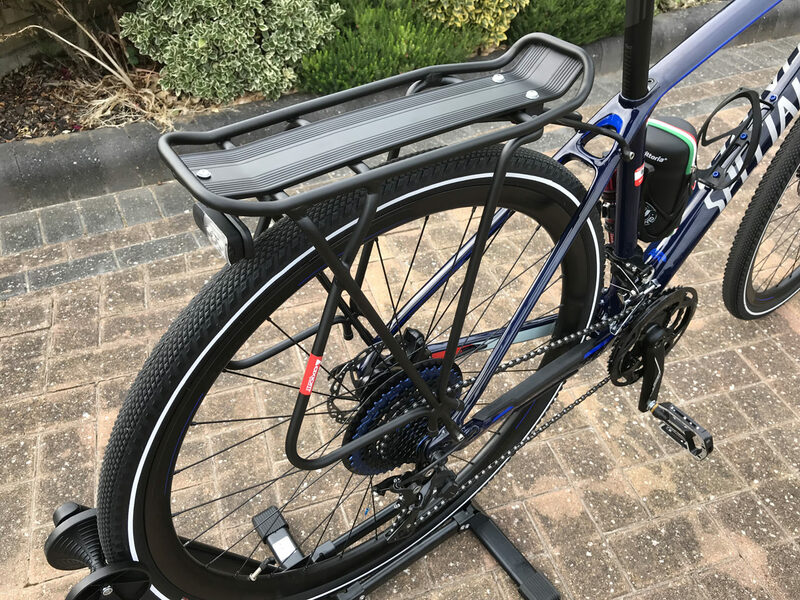 I've finally managed to install my Axiom Journey rear rack onto my CrossTrail. I found out a week ago that the rear brake pads were not the same as the front ones. After several days of research I located Shimano K04S (metal sintered pads) to replace the Tektro resin pads that I wasn't happy with. Surprisingly, neither Specialized HQ nor TRP could help me!!! I then called three Specialized stores and got three different answers, but they led me down the correct trail. The rear pads on my CrossTrail model are the same shape as pads for Shimano BR-RS805 / BR-RS505 calipers. However, the finned versions will not fit. So after some false attempts I settled on the Shimano K04S pads and they seem fine. So pads front and rear sorted and the braking has improved somewhat after conditioning the pads. Now to the Axiom Journey rack - it fits beautifully on the CrossTrail. Just four 4mm bolts fit to the frame and two 5mm bolts hold the arms. 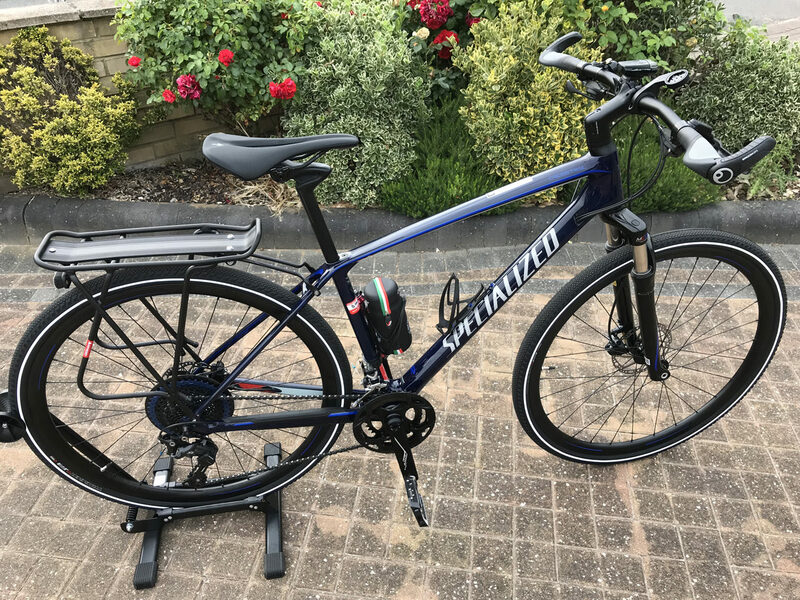 Top tip: loosely fit all the frame bolts, loosen the arm bolts, grab hold of the very front of the rack, hold on to the back of the saddle and pull the rack to the back of the bike. The instructions suggest not to level it, but to leave it sloping very slightly down towards the front of the bike. Very nice! The rack looks great. Quick question - where did you get the rear tire bike stand? ^^ I could see myself sitting on that bench and staring at this beautiful view for hours! That is nice! That is a lovely vista. Nice-looking Crosstrail, also! What fork do you have on it? 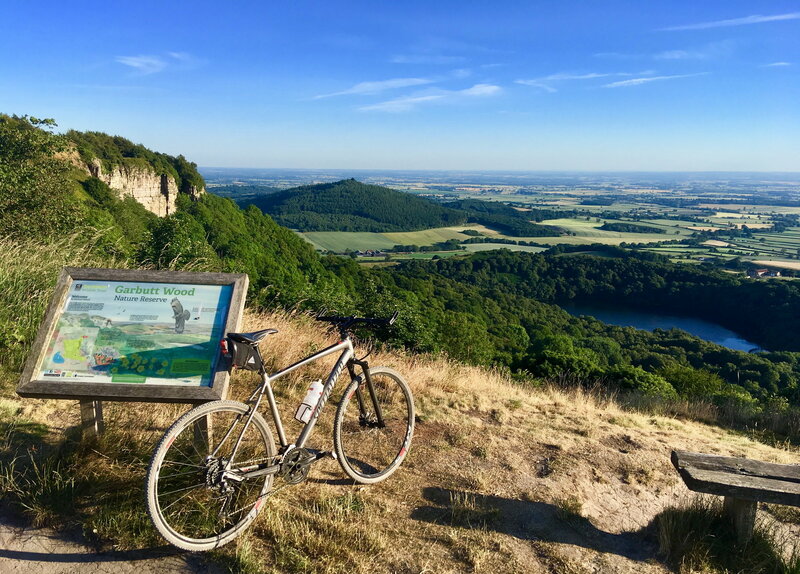 Thanks for the appreciation, the view point from Sutton Bank is breathtaking. The forks are ‘eXotic’s by carboncycles. 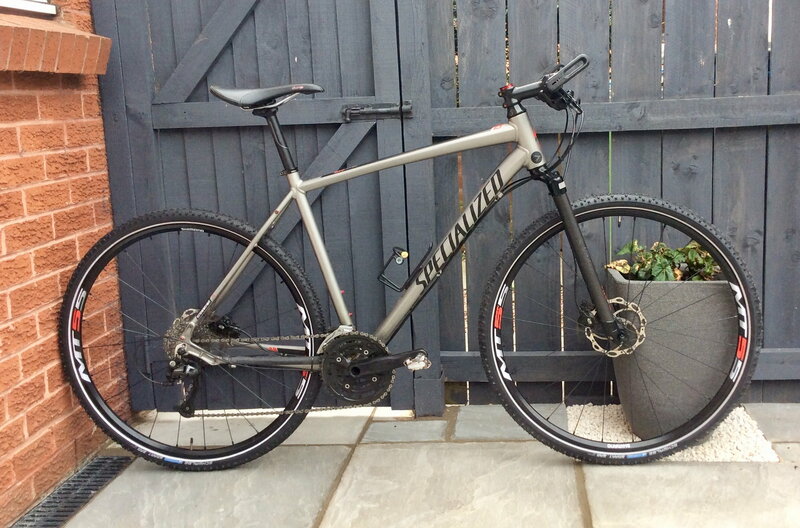 Really stiff and light, cost is about £95 & a good upgrade if you don’t mind having a rigid fork. Thanks! They look like a great option. Replaced the old 35mm (1.4”) Smart Sams with 40mm (1.6”), they were well worn, new ones a bargain £9.95 each from Merlin cycles. All ready for more crosstrail adventures. Last edited by Ajh800; 07-08-18 at 04:09 AM.